The Apostle's Creed is the oldest creed within the Christian Church. Its roots are traced back to the apostles and their basic core beliefs, although the actual authorship is unknown. A variation of the creed was used in the early church as a statement of faith for converts. Many denominations today use it in the context of worship; while other churches may affirm its basic tenets. Beginning Sunday, February 3 at 4:00 PM, First United Methodist Church in Kosse studies this ancient creed in a 12-week series. To guide the discussion, a DVD entitled The Apostles' Creed: A Look at Its Origin and Its Relevance to Our Lives Today, is to be viewed. ​Several noted scholars contribute to the analysis of this affirmation of faith, including Rev. Dr. N.T. Wright, retired Bishop of Durham and New Testament Scholar; Rev. Dr. Robert Mulholland, late Professor of New Testament at Asbury Theological Seminary; and Rev. Dr. Martin Marty, Professor Emeritus of the History of Modern Christianity at the University of Chicago. One cold, snowy evening in 1818, Joseph Mohr, the Associate Pastor of the the Church of St. Nicholas in Oberndorf, Austria, walked home from attending a presentation of the story of Jesus' birth performed by an acting group. From a hilltop, he observed the peaceful, snow-covered village. The scene brought to mind a poem that he had penned a few years earlier about the angels announcing Jesus' birth to the shepherds on the hillside. He decided that his poem could be the basis of a carol that he could introduce to his congregation the next evening at the Christmas Eve service. However, he had no music to accompany the words. Mohr approached Franz Gruber, the church organist, the next day to see if he would compose the music for his poem. The organist had been unable to play the organ due to a malfunction of the organ, so he needed to create a tune that would be easily played on guitar. Gruber successfully wrote a simple tune to go to Mohr's words and they sang "Silent Night, Holy Night" for the first time to the congregation that evening. Weeks later, Karl Mauracher, a well-known organ builder, arrived at the Oberndorf church to repair the organ. After the repair, he asked Gruber to test the organ. Gruber played the simple tune that he had recently composed for "Silent Night." Deeply moved by the tune, Mauracher took copies of the new Christmas carol back to his village at Kapfing. Two well-known families of singers--the Rainiers and the Strassers--heard it and began to perform it at Christmas presentations. In 1834, the Strassers sang "Silent Night" for King Frederick William IV of Prussia and he ordered his cathedral choir to sing it every Christmas Eve. It was a beautiful Thanksgiving Day with lots of sunshine and a pleasant temperature. I had enjoyed having lunch with family members and decided that it was the perfect day to go for a walk with the dogs. My daughter Laura joined me. During the walk, I got spooked by another dog and quickly turned to go the opposite direction, lost my balance and landed on the asphalt. I realized when I fell that I had probably broken a bone. A little while later, my husband and daughter brought me to Limestone Medical Center for care. Sure enough, I suffered two fractures in my pelvis. Not what I had planned for Thanksgiving or the upcoming Advent and Christmas seasons! During this time of recovery, I have realized how grateful that I am for the ability to do small things. The daily activities like brushing my teeth or fixing my breakfast, that I do on a normal basis have now become major chores that expend far more energy than I expected, coupled with pain. I am so grateful for family, friends, and church members who have reached out to me with their love, concern and prayers. I am very appreciative of the love and care that the staff at Limestone Medical Center provided for me. God has worked through so many people and through His own compassionate touch to bring me healing little by little. I am still not completely recovered and probably will not be for awhile, but I am so grateful for the ability to do all those little things that I had previously taken for granted. December is considered a season of giving. People give close to Christmas to commemorate God's greatest gift, his Son, Jesus Christ. When Jesus was young, the Magi of the East brought gifts of gold, frankincense and myrrh to the child King. This is where the tradition of gift-giving during December originated. Today, people may give to charities for tax write-offs in December. A more spiritual way of looking at giving is that we give because God has given to us. God has given to us our lives and the wonderful things in life that we enjoy, and God's Son Jesus Christ who offers us salvation and eternal life. I recently read a story about a young girl who felt compelled to give in return for all that she had been given. The young girl regularly attended a local church's after-school program. Her mother was a poor, single mother who battled the crippling disease of alcoholism. The church continued to offer hope and caring to the young girl, which did not go unnoticed by her. One day, just prior to the beginning of the program, she handed her pastor a heavy, small paper sack. It was filled with pennies that she had collected for several months. She was so grateful for the after-school program that she wanted to give something back to it. Twenty years later, this young girl is now a full-time children's director in a church, and it all started with the act of giving by that local church many years before. Advent begins this Sunday. It is a church season that is celebrated by a number of churches. It includes the four Sundays prior to Christmas. Many churches, individuals and families have advent wreaths wherein they light candles leading up to Christmas. In addition, as the candles are lighted scriptures are read and prayers shared during this special season of preparation. The season of Advent focuses on the comings of Christ; that is, Christ's coming as a baby, Christ's coming triumphantly at the end of time, Christ's continual coming to us to bring us help on a daily basis and salvation. Christians are called upon to watch and wait with anticipation during Advent. They are encouraged to examine their lives through reflection and repentance. Many of us decorate our homes or businesses to remember this special time of year. We often have lights, wreaths, candy canes, poinsettias, holly, Christmas trees, and manger scenes. There is special significance to these decorations pointing to the story of Jesus' birth, life, death and resurrection. During the Hanging of the Greens, churches share the meaning of many of these decorations. You are invited to the Hanging of the Greens Service that our church provides this Sunday, December 2 at 10:45 AM, where the story of Jesus is told through the Advent and Christmas decorations. 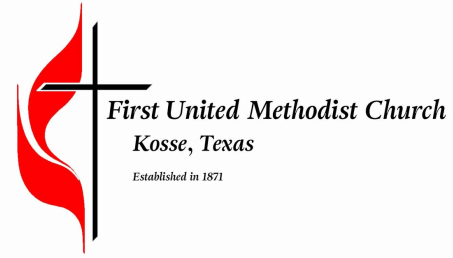 I recently attended a meeting in our United Methodist Conference that credentials the ordination of pastors. We discussed the need for people to realize God's call upon their lives, whether it is a call to be a pastor or committed to a ministry both within and outside of the church. The Protestant Reformers of the 16th century espoused the idea of the "priesthood of all believers." That is, God has called every person to be in ministry, not just pastors. This concept is taken from scripture texts such as Romans 12 and I Corinthians 12, that speaks of the gifts of the Holy Spirit given to each person to edify the church, to lift up other people. Martin Luther, one of the Protestant Reformers, once said, "The Christian shoemaker does his duty not by putting little crosses on the shoes, but by making good shoes, because God is interested in good craftmanship." God has given each one of us certain gifts, talents and interests, so that we may share them with the world and make the world a better place. I encourage us all to listen to God's call on our lives and to fearlessly follow it. I have been thinking lately about how the world could use some more kindness in it. I need to remind myself of my need to continue to live kindness to my family, people at the store, representatives on the telephone...anywhere I encounter people. I was reading a story about a man named George, who was known for his kindness to all people. George worked at a hospital and was one day hospitalized there. The CEO of the hospital came by to visit and they chatted like long-time friends. Shortly after, one of the custodians visited with George as well and they also had a very friendly conversation. George's children observed both of these encounters with the president and the custodian. They commented that he treated both of them the exact same way. George smiled and said, "Let me ask you something: if the president left for two weeks and the custodian left for two weeks, which one do you think would be missed more?" He added, "Let me show you something that I carry in my pocket every day." He showed them a pocket-sized cross and a marble with the golden rule on it. "On the cross, the words, 'God loves you' are written on them, and on the marble are the words, 'Do unto others as you would have them do unto you.' The cross reminds me of how deeply God loves me, and the marble reminds me of how deeply God wants me to love others." A magazine on an airplane shared the following quiz. "A three-week study found that people who did this every day were not only happier and more satisfied with life, they got more sleep and felt more refreshed when they woke up. What were they doing? d. Keeping a journal of 5 things they were grateful for." We continue our look at being open to joy in life in the Sermon Series, "Joy in July." This Sunday, we explore "Joy in Others," then we will consider "Joy in Variety" and "Joy in Fun." On the final day of the sermon series, we have a day of fun as we celebrate Hat Day and where our favorite hats! Join us in worship and joy at 10:45 AM this Sunday! Is joy something that is only for the young or those who are in denial of the troubles of life? Certainly, there is not much greater joy than to hear children laughing with glee, enjoying oftentimes the simple things of life. The Christian faith asserts that joy is part of the Christian experience of all ages. It is not just for the young or for those who are hiding their heads in the sand. Joy is described as the fruit of the Spirit of God at work in our lives in Galatians 5. The Psalms speak again and again of joy that comes from praising God. The Apostle Paul is able to encourage believers to rejoice in the Lord while he is imprisoned for his faith, as he writes to the church at Philippi. Beginning on July 1, I will offer a Sermon Series that I have entitled "Joy in July." We will explore the nuances of joy by looking at joy in praise, thanksgiving, others, variety, and in fun. God does not intend for us to be grumpy Christians, but rather people filled with the joy of the Lord that is everlasting. We see a world, these days, that thinks the answer to life’s problems is to end it all. With the American fashion designer Kate Spade and Celebrity chef and TV personality Anthony Bourdain making the news over committing suicide, it gives us a reason to pause and see where we’re headed in our society and what can we do to help. Kate Spade and Anthony Bourdain and the countless others who have chosen to commit suicide leave behind grieving friends and family members, who wanted them to live. Family and friends can call 911, if someone seems suicidal. The suicidal person can be taken to the Emergency Room. Call the Suicide Hotline at 1-800-273-TALK. A suicidal person needs professional psychological help and may need to be hospitalized for a while. Please don’t let pride stand in the way of getting the needed help. Faith and trust that God is always with us to comfort us and guide us help us to cope with life’s struggles and tragedies. Refusing to give in to isolation by seeking the help of family, friends and a church family is also an added source of strength. God cares and others care what is going on in our lives. W. Monroe at Adams St.